With the holidays fast approaching, many members of the campus community look for ways to give back. One of the programs available at UC San Diego is the Basic Needs initiative. Basic Needs refers to the most essential resources required for students to thrive, which includes access to nutritious food, stable housing and financial wellness resources. Those involved in the initiative are sponsoring several activities before the holidays that both raise awareness about and give to Basic Needs programs on campus. The Hub, located in the Student Center, is a new space on campus that offers students the opportunity to engage in, and link to Basic Needs resources. The center staff are here for students with any concerns with basic needs. They work with resources both on and off campus related to food security, housing stability, financial wellness among many other partnerships. The Hub also provides information for applying to CalFresh, a food assistance program. Since its opening earlier this year in February, the Hub has served nearly 2,000 meals and processed more than 600 CalFresh applications. The Hub is located steps away from the Triton Food Pantry, which opened in 2015. Participating with the San Diego Food Bank and the Garden of Eden, the pantry provides a safe and discreet service for UC San Diego students in need of food. It also aims to build a network of food resources and awareness about food insecurity so that every student has sufficient and nutritious fuel to achieve academic success. Both the Triton Food Pantry and the Hub are partnering with Associated Students (AS) as well as Housing Dining and Hospitality (HDH) for a series of events for Hunger and Houselessness Awareness Week, Nov. 10 through Nov. 16. This week is dedicated to raising awareness about basic needs insecurities as well as the resources available on campus to combat them. Activities include a Chipotle fundraiser, a food and housing resource fair, a food waste dinner and a CalFresh Super Clinic. All of these events aim to raise money to support these on-campus programs as well as refer students to them. Staff and students are also rolling up their sleeves to help those in need for the Stuff the Bus event on Nov. 18. The Hub is working with AS, UC San Diego Transportation, CALPIRG and the College Councils for the launch. For the event, a UC San Diego shuttle will be parked in the lot outside Ralphs and Trader Joe’s to encourage people as they enter either store to buy an extra item to help “stuff the bus” with food and personal care items. The Hub and the Triton Food Pantry are also hosting their own holiday drives, collecting personal care products and food, respectively, to support students in need. 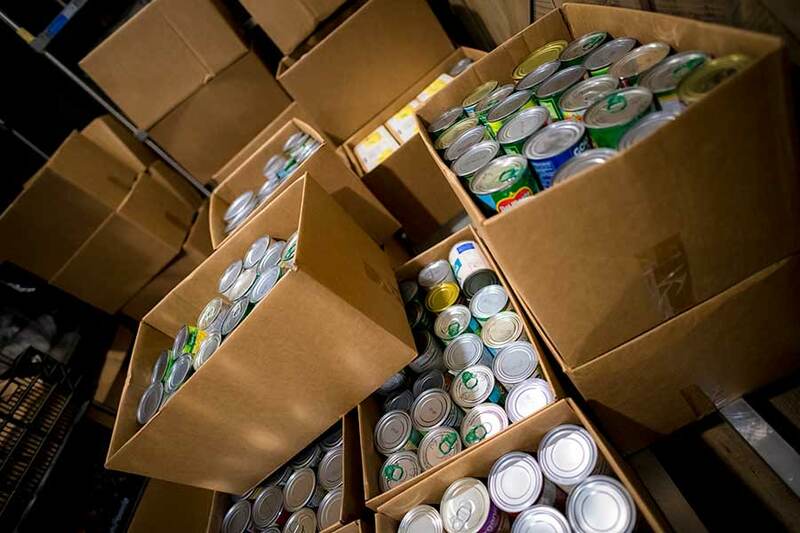 According to a recent study reported by The New York Times, about 50 percent of all college students struggle with food insecurity, even at elite and private universities. 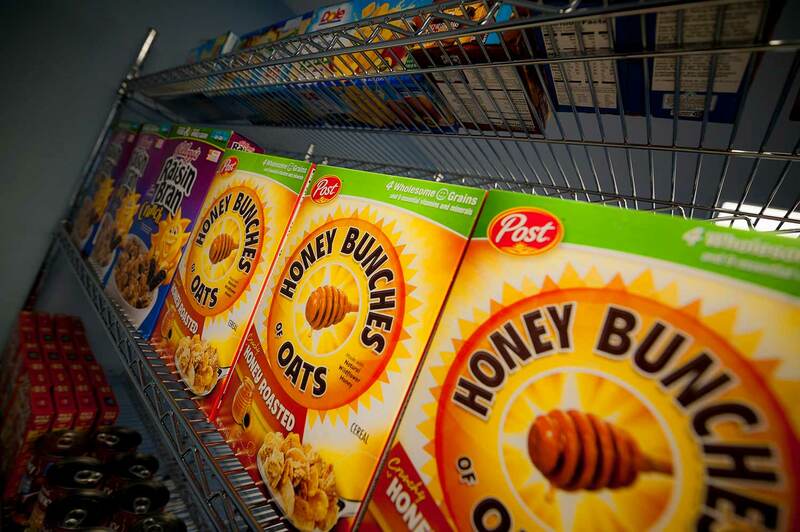 At UC San Diego, resources like the Hub and Triton Food Pantry aim to reduce that statistic and allow students the necessary basic needs that will help them succeed. For more information about the Basic Needs, including opportunities to get involved, click here. To donate directly to the Triton Food Pantry, go to the Giving website.